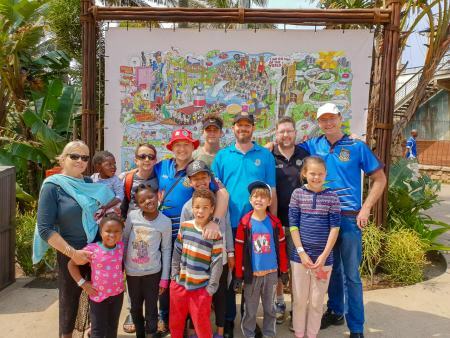 The Kids to the Sea event happened once again this year and Durban 2 and Umhlanga 155 again lent their support to this fantastic event by sponsoring the Friday at uShaka Marine world. The morning started with the tour heading from Margate, where they had been expertly hosted by Margate 46 Round Table, and headed up to Durban where they were met by Clive and Adrian from Umhlanga 155. All the kids received full entry into the park and had an absolute blast. They were able to take in the Seal show, Dolphin show, and even a trip around the aquarium. After a morning of fun, the tour moved across to the Spur at uShaka where they enjoyed a meal on Durban 2. It was a great opportunity for Clive, Adrian and me to catch-up with the gents from Northridge 117 whilst the kids were running amok in the kids play area. 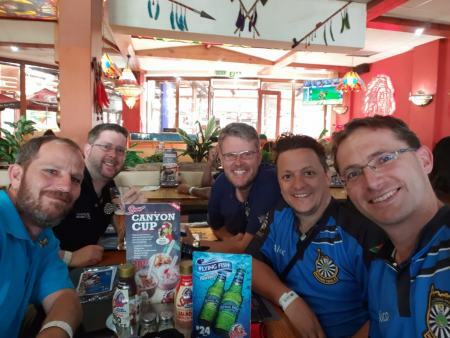 As lunch drew to a close it was time to say goodbye to the tour, swap a few banners, and wish them safe travels as they headed up to Pietermaritzburg where they were to be hosted by the Pietermaritzburg 12 Round Table for the night before heading back to Gauteng the following day. It is always such a pleasure getting involved each year in this project that brings kids to the seaside each year. Many of them have never seen the sea before and may not get another chance to see it for many years to come. To the gents from Northridge 117 – well done on putting this all together once again. Long may the project continue, and I will certainly be pushing for Durban 2 to continue supporting it for many years to come.